This fact-paced thriller about a young woman stranded at a rest stop during a snowstorm really took me by surprise – I sped through it in one sitting. At first, the story took a few predictable turns but eventually snowballed (ha!) into an intense cat and mouse game. I thought the author did a great job crafting comedic scenes during peak Tarantino-esque moments. This gory, fun, fast-paced book was precisely the kind of palette cleanser I needed to revitalize my reading. 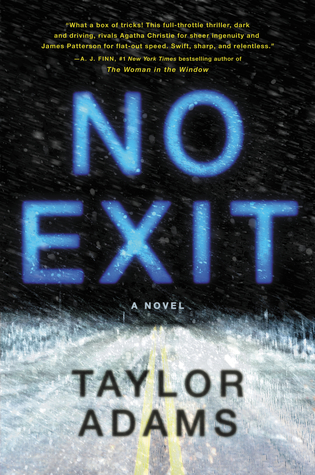 Sign into Goodreads to see if any of your friends have read No Exit.